While about 38% of the population qualifies to give blood, according to Red Cross less then 10% are actually donating. Numbers are even lower in the rest of the world, with some countries relying mostly on blood from people that ask money for their gesture. Because of the constant need of blood and the fact that supply can be at alarming low levels more often then not, blood collecting organisations are trying to reach as many possible donors they can. In doing so they use smart slogans, interesting blood donation quotes and inspiring posters. I have made for you a selection of 11 blood donation slogans that are not only very convincing, but also funny and unforgettable. A simple but catchy slogan for this Puget Sound Blood Center campaign. 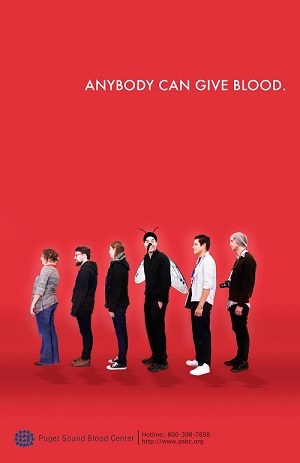 The poster adds value to the message by showing a group of diverse and funny people waiting in line, presumably to give blood. 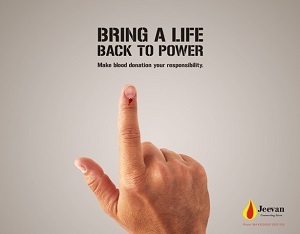 Supported by a powerful poster showing a pointed bloody finger, this campaign slogan underlines the importance of blood giving. The quote has the merit of reminding in a straight forward way that giving blood means saving lives. Sometimes we tend to forget how easy can be to help another human been but this quote manages to remind us. By highlighting the simplicity of the process, the slogan has also the merit to comfort and convince people that are afraid of donating blood to give it a try. Being a hero is not in reach for most of us, but this quote reminds you that we can really be of great help for someone in need by simply giving blood. 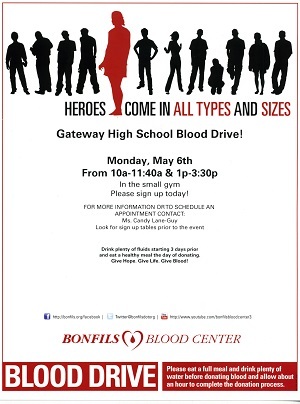 The slogan was promoting a Bonfils Blood Center blood drive. Simple slogan that says it all, this quote served to promote a campaign in Greece. 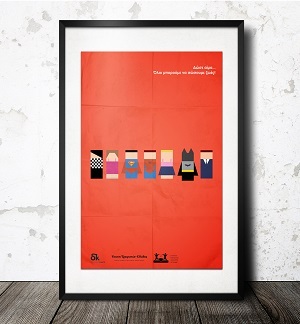 The poster is the one that really convince here, with great minimalist design that suggest that blood donating is really a thing we all can do. The quote refers to the ban on blood donation some countries, US included, impose on gay men no matter their health condition or life style. 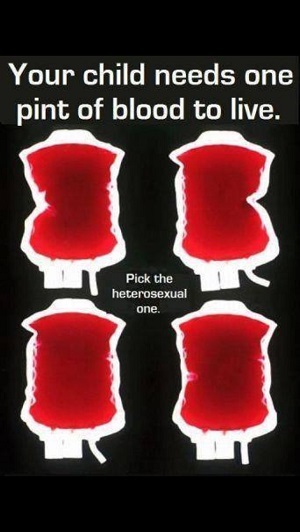 The message of this slogan is that the blood of healthy gay men can save lives to. A slogan that says it all in a nice, powerful poster. Created to raise awareness for the World Blood Donors Day back in 2012, this quote is one of my favorites because it manage to create a sens of belonging to the community. 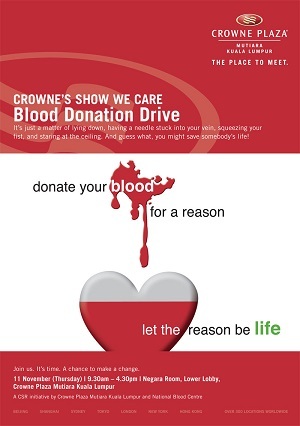 Use to raised awareness for a blood drive at Crowne Plaza, Kuala Lumpur, the quote reminds you that donating blood means supporting lifes. Simple, powerful, straight to the point, exactly the way slogan should be. This American Red Cross campaign is one of the most funny and creative ones. 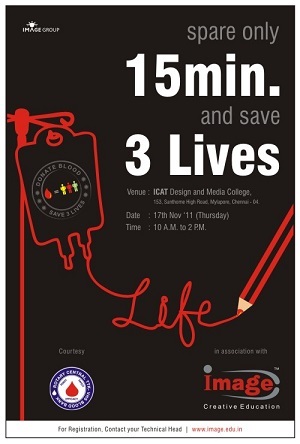 They not only create a nice poster powered by a strong slogan, but they teamed up with the TV Show crew to give away free T-shirts to every blood donor at this event. 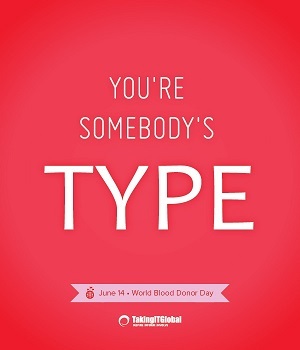 Funny slogan that reminds you that no matter what blood type you have someone will need it. 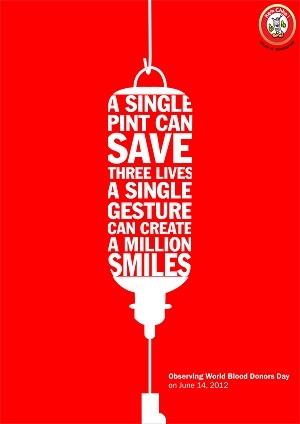 The quote is used in a poster that celebrate World Blood Donor Days. 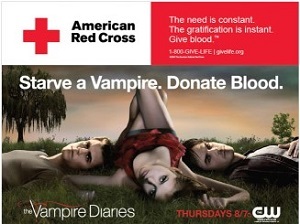 This inspired slogan was used to promote a blood drive event on Facebook. Unfortunately the event page doesn’t look like having to many participants, but I still thing this is a nice quote that deserved to be mentioned here. As you can see, it is not that complicated to come up with a smart and funny slogan that will convince people to donate blood and support others. You have to remember that not only words are important, but images also. Get in touch with a talented designer and create a eye catching poster. Want to be a phlebotomist? Read our complete guide covering all aspects, from training to certification and job hunting. Looking for a job as a phlebotomist? Use one of our 10 great resume templates that we give away for free!